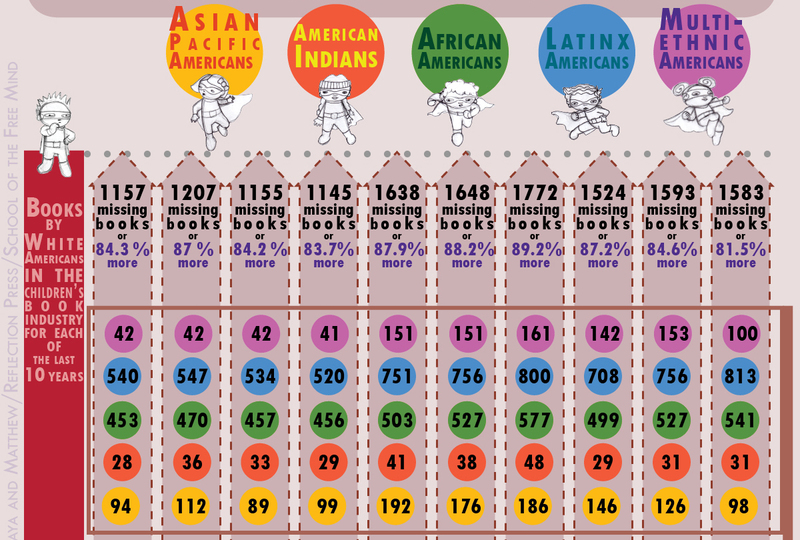 The graph below shows the children’s books that were missing by POC and Indigenous people in the children’s book industry over the last 10 years. That is if we were creating an equitable number of books per year to white Americans. It can be challenging to wrap our minds around the reality of the publishing industry even though most parents, educators and librarians know it’s hard to find books that reflect our communities. Visuals like this help us understand the extent of silence and invisibility we live with. We know what’s at the heart of this kind of absence and we know how it impacts our children. The need for inclusive children’s books is not news to many of us, but it is finally in the news. For the thousands of folks who have worked for decades to move this conversation forward this is an important step. But I want to talk about what’s not in the news. In fact, it may not reach the news. I want to talk about how this silence and invisibility has affected us as adults and the impact it’s had on our #ownvoices in children’s books and our lives. I estimate with authors, artists, editors, designers and publishers, we need more than 5000 skilled people every year to create these missing children’s books and that’s only the beginning. This a HUGE untapped resource in our communities. But for many of us like me, it’s more than just learning skills, the real work is becoming strong enough within ourselves to be heard in the world. This is the real impact of living in a world of silence and invisibility. Negotiating the inner journey. Through creating children’s books we have the opportunity to negotiate not only our own silence but change the kind of voice our children and our communities live with. Everyone has a story. Read PART 2 of this series about what I learned teaching how to create children’s books these last three years. 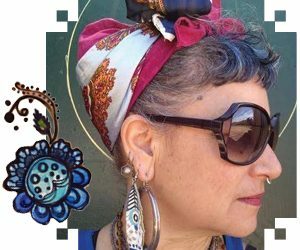 or check out my Indiegogo campaign for 6 books that push the boundaries of publishing and support POC, indigenous and queer voices rising.